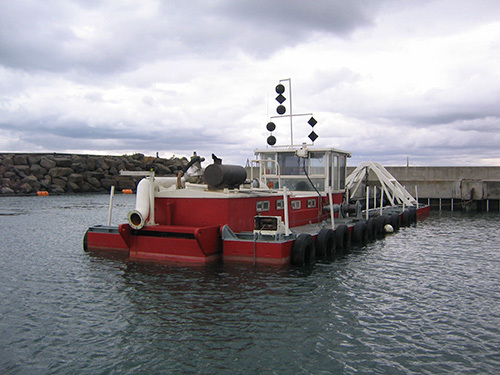 Victorian Marine Services are an Australian owned & operated dredging and excavation company. VMS have been servicing the marine, mining and waste water industries for over 15 years and have developed a well-earned reputation for excellence & reliability. We are experts in environmental rehabilitation, waste water sludge removal, sand dredging and beach refurbishment. Our experienced team of skilled workers, are trained and licensed for their specific tasks. OH&S is a key component within the company and is a major priority in all operations. VMS are based in Victoria but are not limited to this area. All our equipment is road transportable. We operate our own low loaders, semi-trailers and crane trucks and have undertaken projects throughout Australia and Asia.